This a security system that literally anyone can use, just don’t expect it to fit into any smart home ecosystem. Consumers might shy away from DIY security systems for a few reasons—perceived lack of genuine security, fear that their investment will be wasted on a broken system—but one of the biggest is a perennial DIY con: It might be too difficult to install and manage. That’s a fair criticism of many smart home products, and it's led some manufacturers to focus squarely on that very problem. 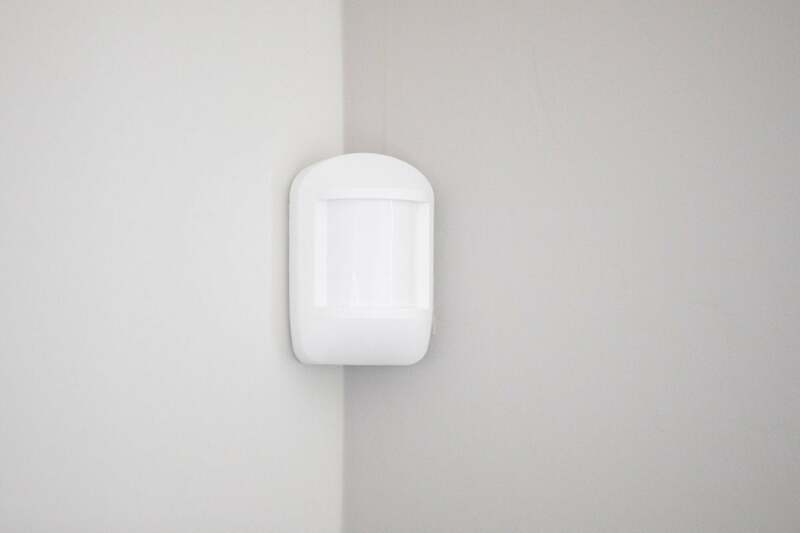 Products like SimpliSafe even put “simple” in their name in the hopes of proving that a do-it-yourself security setup can be as easy as operating your toaster. 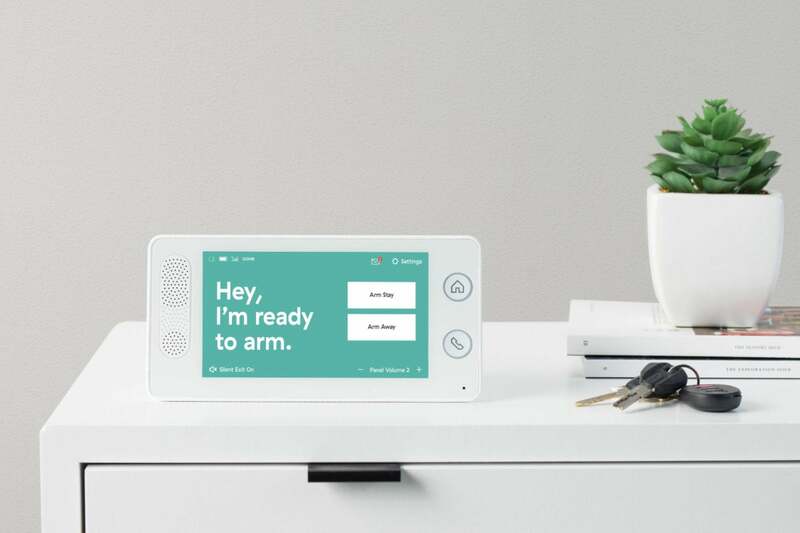 Newcomer Cove takes direct aim at SimpliSafe (and Ring’s Ring Alarm) with its offering, and it’s designed to be as foolproof as is humanly possible. The secret sauce is that Cove is largely configured for you before it's shipped. You specify what sensors you want when you purchase it, and these are paired to the Cove hub at the factory. You can pre-configure your sensors when you first purchase them, via Cove’s shopping cart. If anything is complicated about this process it’s in selecting how to pay for the system, as there are at least four different ways: You can pay nothing up front (for up to $500 worth of gear), and then pay either $25 or $35 a month for professional monitoring; or you can pay for the gear up front ($494 in the example above), and then pay either $15 or $25 a month for monitoring. Cove is not available without a monitoring plan, but none of its plans require a long-term contract. Professional monitoring is optional with both Ring ($10 per month, including unlimited cloud storage for Ring cameras) and SimpliSafe ($15 per month or $25 per month if you want to receive text messages and the ability to remotely arm and disarm). Those companies' service plans don’t require you to sign a long-term contract either. 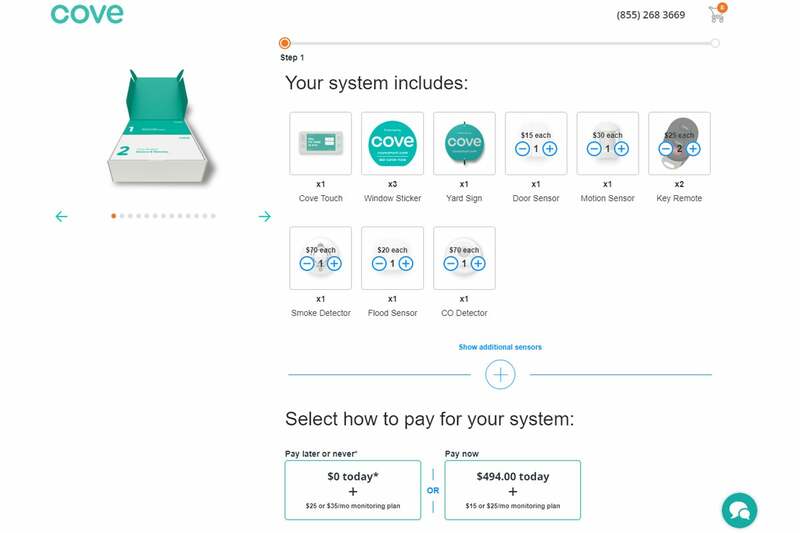 Cove’s plans differ in two major ways: The lower-end plan includes 24/7 monitoring, cellular connection, and battery backup, while the more expensive plan adds the ability to use Cove’s mobile app, a $5-per-month credit toward future sensor purchases, and a lifetime equipment warranty (instead of just one year). You do own the equipment you purchase, but if you choose the pay-nothing-up-front option and cancel your service within 36 months, you’ll be on the hook to pay for the gear in full. While rather drab in design, Cove’s products mostly work quite well. How does Cove keep things so simple? By stripping it down to the basics. You don’t have to plug Cove into your router or configure a Wi-Fi password because it doesn’t use Wi-Fi. It communicates with HQ exclusively through its cellular radio, and sensors talk to the Cove hub through over the unlicensed 345MHz frequency band. (You can even talk to Cove’s monitoring service or call emergency services directly through the panel.) The downside of this is that Cove doesn’t work with any of your smart home gear at all: no third-party hubs, no voice assistants like Alexa, not even IFTTT. You can't add things such as smart entry locks, either. Cove is completely self-contained, but that means it’s also completely isolated from everything else you might have going on. And unlike SimpliSafe and Ring Alarm, Cove doesn’t offer any home-security cameras, even as an option. As with most home security systems, a single motion sensor can do the work of several door/window sensors, saving you some money in the process. Cove’s equipment won’t win any design awards. It's utilitarian and chunky but functional, and most of the gear is on the large side. 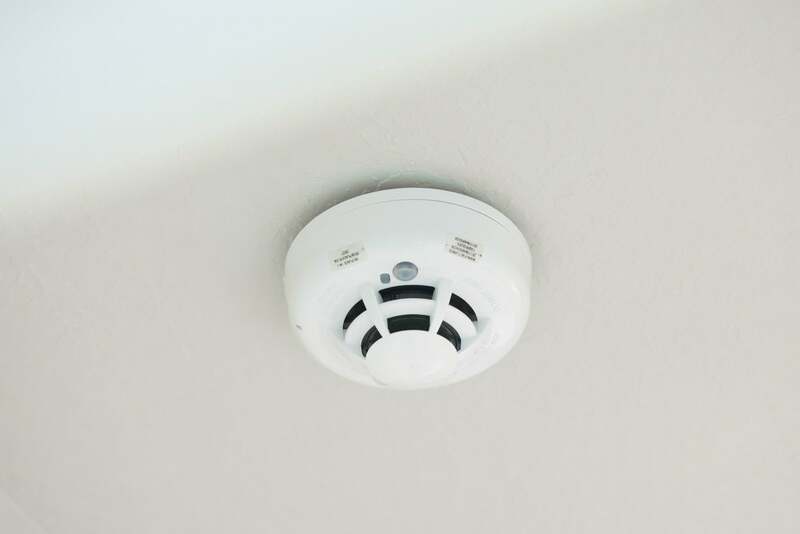 The CO monitor and smoke detector in particular look as though they were designed for a motel than the average suburban home. The good news is that, for the most part, I had no trouble with operating the equipment. 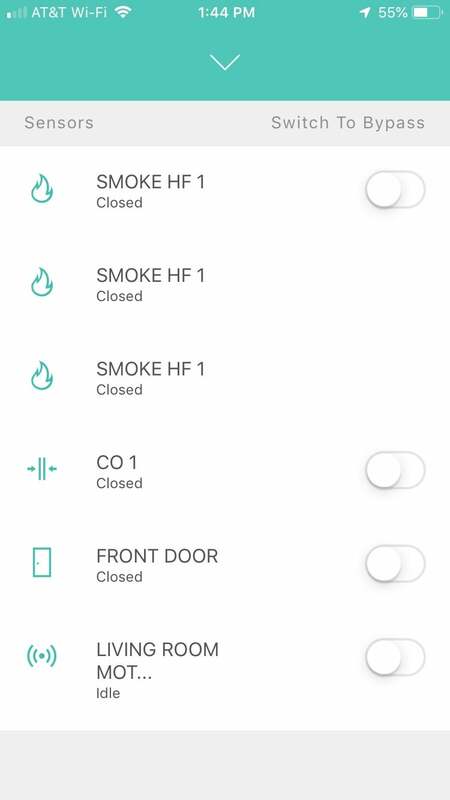 Door sensors worked as promised (a chime on the base station also announces which door has been opened), the leak sensor was immediate with its detection of water, and the smoke alarm was as sensitive as I’d hoped. (I did not test the CO detector’s sensitivity.) The control panel—which features the typical Away, Stay, and Off modes—is also extremely basic and simple to use, with just a handful of settings that can be configured, clear on-screen directions, and helpful voice prompts. The two-piece door/window sensors are of the typical design that's impossible to hide. We much prefer sensors that disappear into the door and door frame. I also had trouble with the motion sensor, which I found to be quite a bit too insensitive as I was often able to freely walk back and forth in front of it without triggering a siren. Sensitivity settings can be crudely adjusted if you crack open the sensor and adjust dip switches inside, but I suspect that will be well beyond the comfort level of Cove’s intended audience. Of special note is the siren, which is ear-piercingly loud and shrill—to the point where my ears still hurt hours after setting it off in close proximity—but there’s only one siren for everything. A leaky toilet earns the same alert that you get if a midnight intruder breaks through a window. Cove rates the unit’s battery backup at 24 hours, and my testing got even more running time than that. Cove’s mobile app is the weakest link in the ecosystem. While extremely limited in function (basically it’s only good for turning the system on and off), it also manages to be obtuse in design. Click the sensors tab and you get a list of sensors, some of which can be “bypassed,” along with some cryptic status messages. Presumably, bypassing a sensor enables you to arm the system even if you leave a window open. 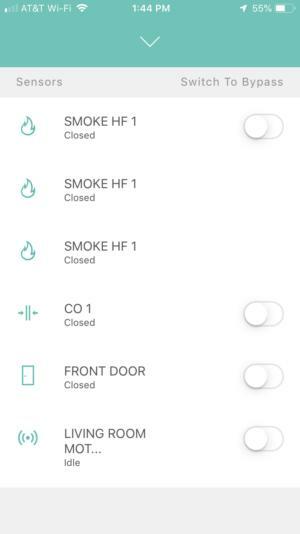 According to Cove, I have three “SMOKE HF 1” (the smoke detector, I presume) devices in my house, and they are all “Closed” (an “open” sensor would trigger an alarm). The app adds virtually nothing to the experience here; if you don’t require a lifetime warranty—and I don’t know why you would, considering the gear is so cheap—and you don't care about the system send you text messages, I’d heartily advocate going with the less-expensive monitoring plan. You do receive text message service no matter which plan you choose, and while these missives can be a bit overwhelming with their four or five lines of chunky text, they’re workable enough at alerting you to problems when you’re not at home. Naturally, Cove’s monitors will call you via voice should the alarm go off and not be disabled quickly. In the final analysis, while Cove has some room to grow, it has largely achieved what it set out to do, providing an easy yet capable security system with minimal strings attached. Smart home enthusiasts looking to get fancy with connected lights and complex interactions with other gear won’t be satisfied, but, let’s face it, there are plenty of alternatives on the market if that’s your bag. 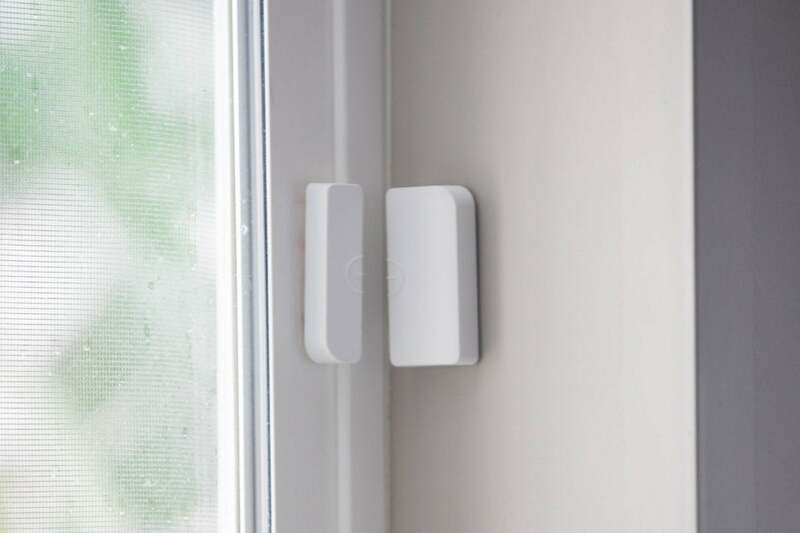 This story, "Cove Home Security review: In search of the simplest security system" was originally published by TechHive.